Silver Lätt and Kristin Tattar are arguably the best Open and Open Women players from Estonia, and they’re also a couple. 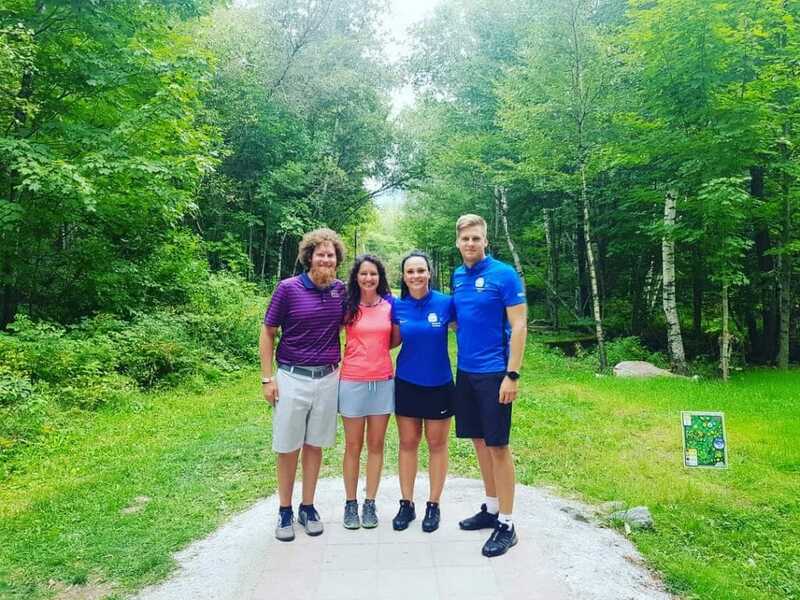 The duo is traveling in the U.S. for five weeks, starting at last week’s Disc Golf World Championships in Vermont, and ending with the United States Disc Golf Championship in South Carolina. Every week or so, I’m checking-in with them to find out how they’re feeling about their adventures on and off the course. Note: This interview was conducted before the Delaware Disc Golf Challenge. It’s likely many a disc golfers’ dream to be able to turn over in bed one night and say, “Honey, do you think we should play the Pro Worlds Mixed Doubles Championship together?” and have the other person not only know what in the world you’re talking about but also be possibly the person best suited to answer your inquiry. If that’s the case, then Lätt and Tattar are living the dream. Even more dreamy, the pair came in second at this year’s edition of the event. They tied Matt Dollar and Elaine King for second, just two strokes behind champions Lisa Fajkus and Matt Bell. Even if Tattar felt she left a few putts out there, she’s planning on having plenty of other chances to do her part for the mixed team in the future. As the couple had hoped, ratings higher than Estonia’s norm were easy to come by at Worlds. The 996-rated Lätt (992 before the September update) averaged 1010-rated golf over the tournament’s five rounds. However, like a true disc golfer, the greater part of his reflections focused on what he could have done better. Lätt then described how, after a short rebound, a spit-out on hole 6 once again derailed him and he just “ran through the round” from there. However, the five round format took its toll, and climbing higher wasn’t an option. That final 963-rated round saw Lätt finish Worlds in 48th place. As many readers probably saw, Tattar found herself on the Open Women lead card during the fourth round of Worlds, and things, to put it mildly, didn’t go exactly to plan. The last round also got off to a rough start. Tattar took an eight on the first hole — “even in my worst nightmare I would never have thought it possible,” she said — and then found even more OB later on. Luckily, Tattar was able to turn to Lätt at this moment, and he told her, “Kristin, you know you can play well, and that’s all you need to think about.” Lätt’s support helped Tattar focus, and things quickly picked up. Tattar finished Pro Worlds in eighth place. Ultimately, both Lätt and Tattar are coming away from Worlds knowing the importance of a positive attitude, and they’re hoping to transfer this knowledge to their performances at the Delaware Disc Golf Challenge. Tattar is simply “trying to focus on all the positive thoughts.” Most of all, she wants to keep Lätt’s advice to be confident in her skills in the forefront of her mind. Of course, Lätt and Tattar haven’t spent all their time on disc golf. They’ve taken some time to be good ol’ fashioned tourists, too. 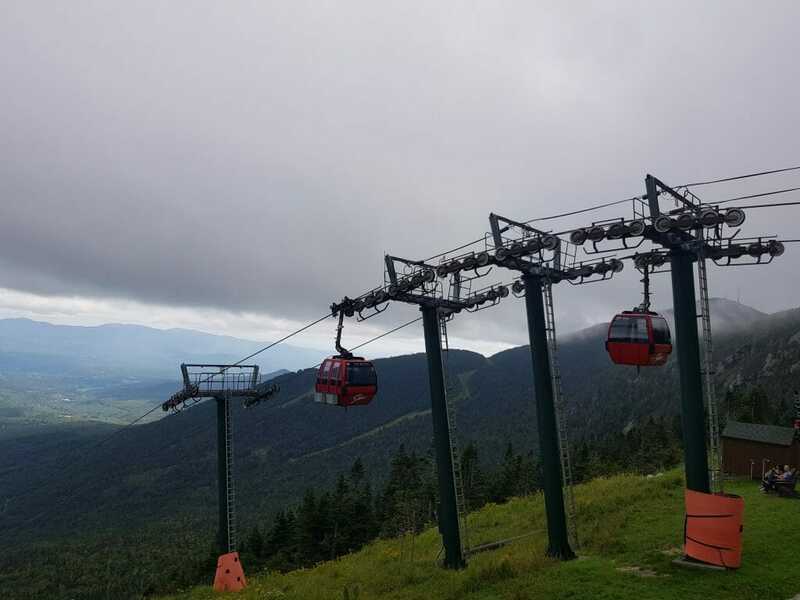 For those who don’t know, the 4,395-foot (1,340-meter) Mount Mansfield is the highest peak in Vermont. The couple also made good on their plans to visit the Ben and Jerry’s factory where they “bought a ton of different flavors and loved them all.” But, sadly, their whole journey hasn’t been quite so sweet. If any readers have tips for them on this front, I’m sure they’d be happy to hear about them in the comments. 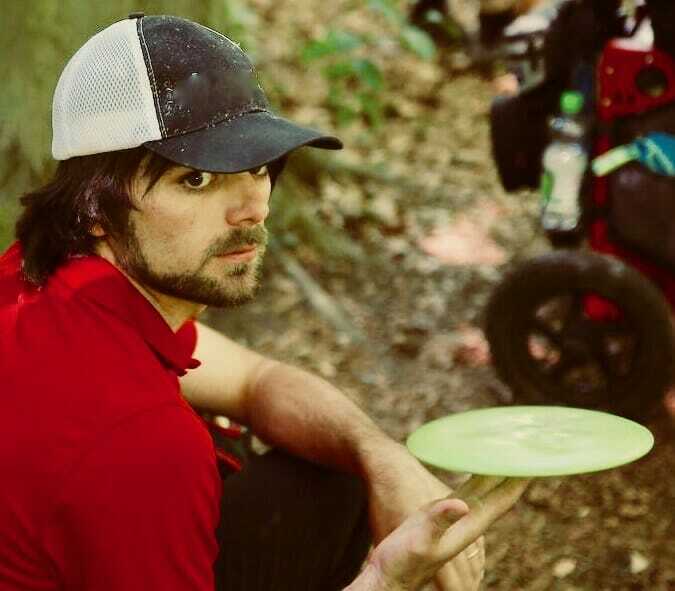 Alex Williamson is one of Ultiworld Disc Golf's European Beat Reporters. He’s a former high school English teacher from North Carolina and holds an M.A. in Transcultural European Outdoor Studies. He now lives in Germany where—among other things—he plays and writes about disc golf and teaches and creates content for a small Business English training company. Contact him with comments or interesting story ideas at alexanderbwilliamson@gmail.com. Comments on "Kristin Tattar and Silver Lätt Do America: Part 2"